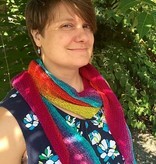 Swoop is an elongated crescent style shawl. 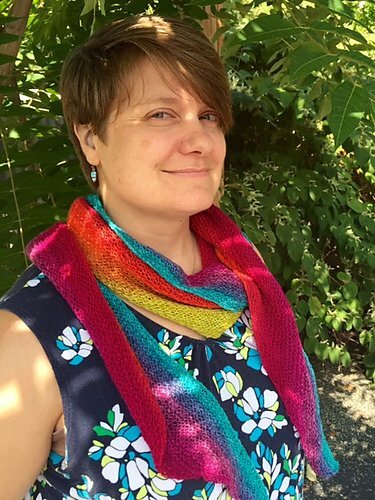 You'll just want to swoop this colorful piece of knitwear around your neck. 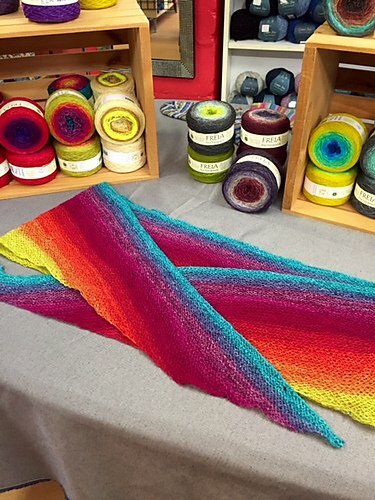 The long garter stitch rows are perfect to showcase the gradual color shifts from one vibrant color to another. 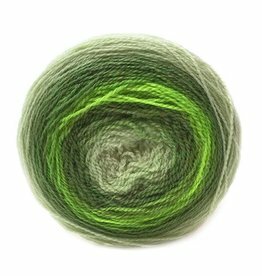 Freia Fine Handpaints Ombré Lace is a 2-ply yarn made from a blend of 75% wool and 25% nylon. 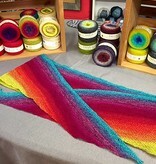 Available in an array of vibrant to calming hand dyed colors.